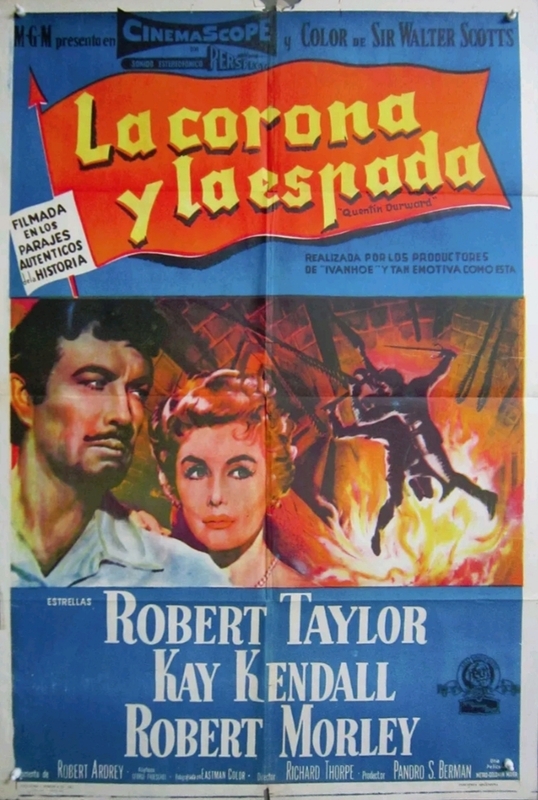 The Adventures of Quentin Durward, was a 1950s Swashbuckler film, starring Robert Taylor, in the title role, many other well known Actors and Actresses, appeared in the film, including Kay Kendall, Robert Morley, Duncan Lamont, Wilfrid Hyde-White and George Cole (who played the role of Hayraddin), I have seen the film a few times, and have got a copy of the film, on a Region 1 DVD - www.amazon.co.uk/Quentin-Durward-DVD-Region-NTSC/dp/B002C1ZMQW/ref=sr_1_3?s=dvd&ie=UTF8&qid=1489517074&sr=1-3&keywords=quentin+durward Bodiam Castle (East Sussex), featured in the film, Bodiam Castle, has also featured in many other films and TV series, the film, also featured quite a lot of French locations, The Adventures of Quentin Durward, was set in the 1460's. The price has put me off adding this one to the CFA. 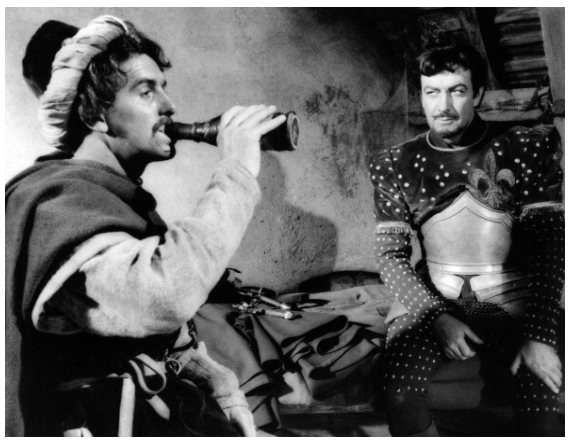 Regarding the 1955 film though, would you recommend it billy? 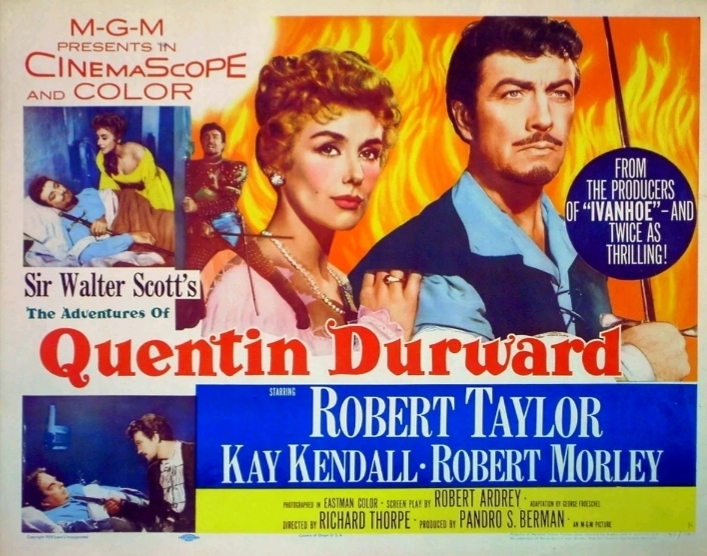 The Adventures of Quentin Durward (1955), wasn't as good as two earlier 1950s Swashbuckler films (Ivanhoe and Knights of the Round Table), both starring Robert Taylor, but the film, is still well worth watching.